Since the launch of the Nintendo Switch, Bandai Namco has shown ongoing support for the system with an array of releases. This week the company hosted a financial call for its first quarter, with a Twitter post by Wall Street tech reporter, Takashi Mochizuki,‏ revealing just how happy the company was with its current performance on the Switch. Long story short, Bandai Namco wants even more games on the Switch but reiterated this requires a different approach due to the unique nature of the platform when compared to developing games for traditional console hardware. Despite this, the company still has a strong belief the Switch ignites play because of its design. 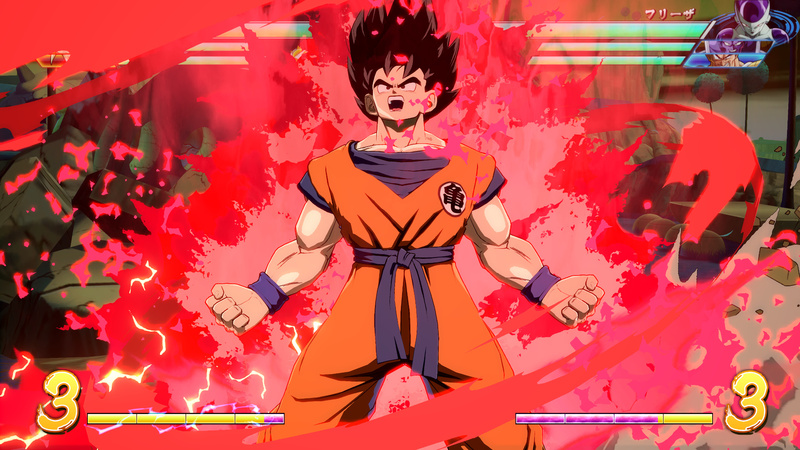 The latest game Bandai Namco has been building hype for is Dragon Ball FighterZ, with the beta on Switch this week. How do you feel about the company's efforts so far? What games would you like to see it release? Tell us below. Bring 'em on! Start with Xenosaga and Ni No Kuni. How about an HD remaster of Pac-Man World 2? Or just release the original version digitally on the eShop. I already have Crash and hopefully Spyro soon on my Nintendo Switch alongside Mario, might as well get all the colorful platformers of my childhood on one Nintendo platform while we're at it! Cartridge version of Tales of Vesperia pretty please? Might any of those games come with a bonus Walking Dead character? Namco Museum Vol 2 please!! They could have a crack at Soul Calibur IV, but as that's a 60fps PS4 title, that would be... challenging. Where do I start with what else they could do? Mr. Driller? Pac-Man World Collection? A Namco Museum that actually digs into their ginormous backlog? I may as well be making a the decisions for them! I have allways wanted Time Crisis on the Wii. Thought it would have been an easy collection to port over. Miss playing them at the arcades. Yes please! But they can skip shovelware like Go Vacation in the future. A Tales of the Abyss Remastered on Switch would be a good idea. Hope their actions matches their word. Hoping for Dynowarz: Destruction of Spondylus and Dr Jekyll and Mr. Hyde! What the hell is vtuber? Ridge racer with HD rumble will be fun. Skidding around the corners will be great for massaging the hands. Tekken, Gundams... all of them, Time Crisis, Soul Caliber. I think that vtuber means Virtual Youtuber like the A.I.Games channel. It basically means a virtual character doing the random stuff that a normal youtuber does. Not sure what Bandai Namco would like to do with that though, maybe they want the famous channels to play their games for more exposure. @MajorTom Oh cheers for that! It's so Max Headroom! The one I'd really like is Soul Calibur 6, but I doubt that happens. I'd settle for good Ridge Racer and Time Crisis games. Loved both franchises back in the day and TC could definitely work on Switch with the joycon's motion control. Stop saying you want things and take action. Jeez sucking the Nintendo fanbases lollipops with just words aint gonna cut it Bamco. Ridge Racer would be really nice! @Arnold-Kage Oh yeah, Klonoa! I forgot about him. A new Klonoa would be great. I’m looking forward for more Tales series games. I’m so hyped for Tales of Vesperia coming to the Switch. Love that game. Hardly any love when we don't have soul caliber, Time crisis and ridge racer. Come on Namco pull for finger out! Actions speak louder than words.... but they have a library of amazing games from the past and present that I would be willing to part with my cash for, all they have to do is port and provide it! How about first they release Dark Souls Remastered & DB FightersZ, before they talk about more games they want to release. In Fact news on the former would be very welcome as summer is fast ending. I really just want to roll you up into my life. Considering that it is coming up on three months since the launch on other consoles, I’d rather hear about Dark Souls Remaster. Ridge Racer would be so nice! And I'm really happy about the beta of Dragon Ball Fighterz. It's important to have such a strong game and partner for the Switch. This Console is amazing and I personally have a great time with it. Thought it would fit the library of the switch . Plus platforms always seem to sell well. You can tell Bandai Namco had a hand in Go Vacation. The street racing game is basically an homage to the Ridge Racer games....remember Ridge Racer? Alright! How about a Gundam game that is actually a Gundam game, and not a fighting game with Gundam skins? Put as much effort into as you do with the Dragon Ball games. Try hard to give us an experience that feels like a Gundam experience, the way you claim the DBZ fighters feel like Dragon Ball. I'd like to play through the original Gundam storyline, in game form, with good controls. Or how about a strategy game based around controlling a battleship and deploying Mobile Suits set during the one year war, or during the war in Gundam Seed? Gundam >>>>>>>> Dragon Ball. I don't care who disagrees. @Anti-Matter Yes yes and yes. Don't forget the sequel needs online. Maybe even a weather system! @Heavyarms55 I wouldn’t mind something along the lines from Encounters in Space. Bosconian and Rally X arcade games. @Itachi2099 I missed that announcement. Now I need new pants. @Heavyarms55 I would throw money at a genuine Gundam game. I would also accept Soul Calibur on Switch. Doesn't even have to be the latest and greatest. I would be quite happy with a quick and dirty port of SC2, my favorite fighting game. Wouldn't say no to a newer version, of course! Soulcalibur VI and God Eater 3 would be nice. Can we get DSR first though, Namco? What's the deal? @Rayquaza2510 There's one Digimon confirmed with a western release (Digimon Survive) and another one rumored (a new Digimon Story title). Right..... How about a new exclusive built for Switch Ridge Racer entry and Soul Calibur entry. Thanks. Either new games or ports of recent ones, or remasters of old ones... Collections of remastered early games in the series would be awesome. @JasmineDragon Sol Cal 2 was one of the few fighting games over the years that I really played a good bit of. So I'd be all for that too. Which is rare, because most fighting games fail to hold my interest. @FX102A It wasn't the greatest game, but I too played the heck out of that game back in the day. And Federation VS Zeon. Another so-so game. But it was good enough considering the lack of quality Gundam titles. Soul calibur any of them except V please. Ridge Racer, Tekken, Tales of, Soulcalibur, Sword Art Online, .hack, Gundam, Super Robot Wars, etc. 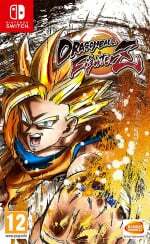 The list of games Bamco could bring to the Switch is fairly deep. Gotta admit, portability is quite influential. I've had the opportunity to buy certain games on Steam for a lower price, but i've opted for the Switch version instead. Why? Simply because i'd like to play when I travel out of state every now and then. Now bring Ridge Racer! The Switch is starving for a proper / traditional racing game or two. Just give me Pac-Man, Ms. Pac-Man, Pac-Man Jr., Super Pac-Man, and Pac-Man Plus on one card and I'll be happy. Not sure if Switch can do OnePiece: World Seeker or Code Vein. so Not sure how exciting this is for the B/N games I care for. Maybe Naruto to Boruto: Shinobi Striker?. I could care less if they mean more old games like Tales of Vesperia. A new Tales would be cool. @razer um yeah. wasn't dark souls supposed to come out in May? I'll side with most people here- soul calibur! i don't even care which one. an hd redux of the Dreamcast game would be sick. I would love a Pacman World collection ! and then Pacman World 4 afterwards. Nice combo. I want to play more of their games on the Switch. Also any dark souls games and armored core if you guys are about that life....oh and Digimon anything. @NEStalgia I can endure all of them, if I'm not a fan of Sega, Namco, Capcom and Nintendo I wouldn't bother but there's just so much of what I love in the game that it's hard for me to ignore and a third game would be a good wrap up to the trilogy even if the story still stale like the first two. Go Vacation is Much Better than Wii Sports Resort. Go Vacation has so many Activities such as Tennis, Mini Golf, Marine Bike Racing, ATV Racing, Pie Throwing, Scuba Diving, Car Racing ala Ridge Racer, Glass Harp, Clay Shooting, Mole Whack, Volley Ball, etc. Go Vacation has 5 different places that you can explore alone or together like Open World games. They are Marine Resort, City Resort, Snow Resort, Shanghar Mountain & Villa Ground. Each Resort has different things to do. On Marine Resort , you can ride Marine Bike (Jet Ski), ride ATV car, Swimming , etc. On City Resort, you can perform Tricks in the air by Inline Skate / Skate board, Grinding on the railway with Inline Skate / Skate board, etc. On Snow Resort, you can do some Skii, Snowboard, ride Snowmobile , sliding with Snow Tub, etc. On Shanghar Mountain, you can ride a horse, ride an Off-Road car (alone / together in one car), Kayaking, Ridge Rafting, etc. Villa Ground is your Reward after you collect 4 stamps on each Resorts. Basically Villa Ground is a place for your Villa & other player's villa that you can decorate / furnishing like Animal Crossing / The Sims. You need Silver Keys to unlock the furnitures / Villa type. To get Silver keys, you must finish some Activities from each resorts or do some Challenge tricks like Riding with specific vehicles for more than 30,000 ft, playing with friends for more than 10 times, get Rank 4 for each Activities, etc. One thing, on Go Vacation you can play as your Mii. You can dress up your Mii with specific clothes based on the resort you visited. Some clothes are founded from Treasure chests, some of them from Daily Gift so you must wait for each day to get all of them. You can move freely for Tennis on Go Vacation. Just like Mario Tennis Aces.